Saw a damn rare car yesterday! - Miata Turbo Forum - Boost cars, acquire cats. dude, your avatar is tight. is that your car? Is that over the 25 year DOT exception, is it registered at all? I've always wanted to drive one of those, they certainly seem cool as hell. That's in my top 10 of coolest cars. Nubs want to know: What is teh car? #1 You know that it's my car. #2 Considering that you took and modded that photo, lame to ----- out your own work. From what I heard, guy imported it thru Canada, but couldn't get it registered, SO..... he just slaps on his dealer tag when he takes it for a spin. Yeah, I would love to get a chance to rock one outside of the video games. 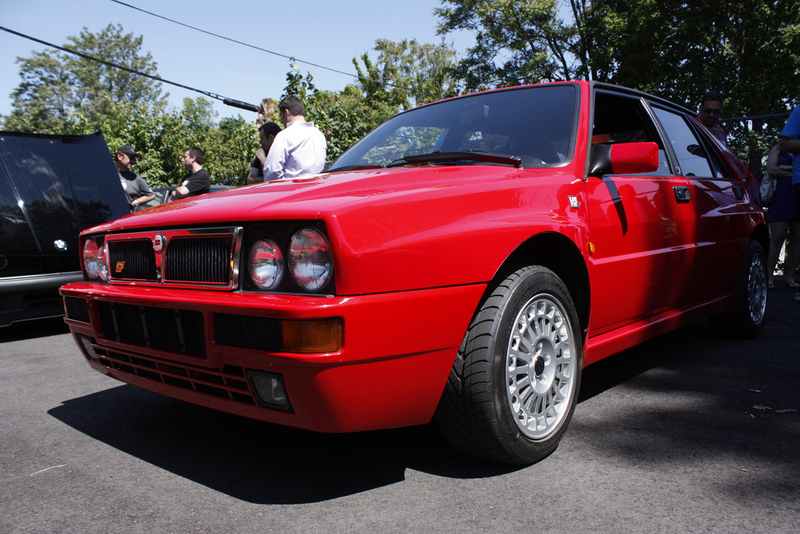 Lancia Delta Integrale. A homologation car from back when car makers actually had to make and sell a certain number of factory cars similar to the ones they raced, so the showroom car really was a "race" car. 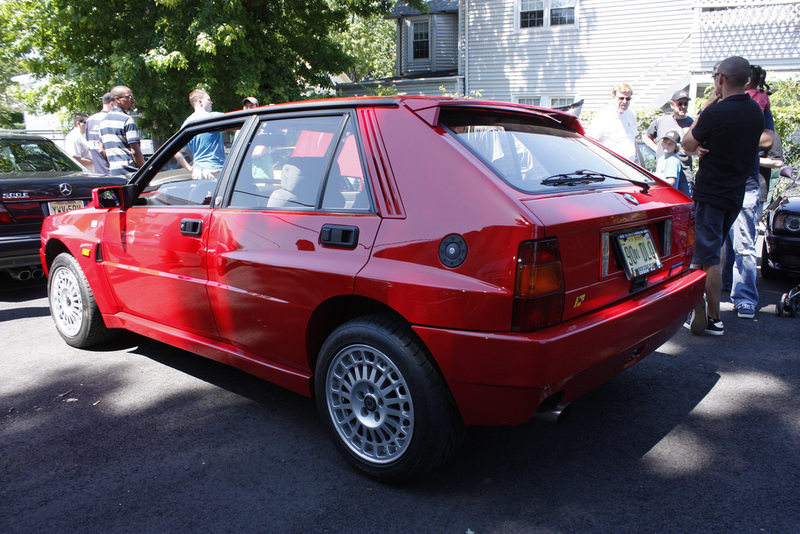 This one was an AWD turbocharged two-liter 4-banger hatch that ruled the WRC back in the late 80s, early 90s. Might not know it by sight, but probably drove one in Forza or Gran Turismo at one point or another. jelly? everything has to be about me. A good buddy of mine who lives in Houston has one. One of the very few in the US. Fully registered and legal here in Texas. Why is there no more homologation? A. Would make it cool to be able to buy a rally racer just like the one on TV. B. Would be awesome to see more new cars with a certain "exclusivity" to them. C. My original "C" was going to be something along the lines of: "would make racing more affordable for factory teams if they had to build a race car at a price which they could sell 500 of" ... but then I thought about the massive amount of effort that would have to go into a car that could be sold and realized that Homoligation probably costs tens of millions of dollars in R&D, Factory retooling, training, parts sourcing, meeting emissions standards for street vehicles, etc. - all for a car that you would have to sell at a price point where 500 people would be willing to shell out the cash to have their very own racer that they'd never be able to find parts/service for. In the end, it's probably millions or tens of millions of dollars cheaper to build 3-5 of these things by hand than to tool/train a factory to build 500 of them and *try* to sell them at $40k each. So why don't we have homoligation cars again? Unless it's 25 years old, it's not actually legal. You can definitely get a car registered that's not supposed to be, but it could still be impounded. When you bring a car in that doesn't meet the 25 yr rule it needs to be brought in with a Registered Importer, and modified to meet "Federal motor vehicle safety standards". You can find a list of vehicles that are approved to be brought in here: http://www.nhtsa.gov/cars/rules/import/. Plus all the rules. I'm not saying that you can't get one in and get it registered...but it's not legal. Here's one that popped up in 2009, it was registered, but it's a 1989. Therefore someone did some funny business to get it here. This car is one I want to own one day. I love rare imports, and I've got a shortlist (mostly Japanese, 1966 Silvia, Hakosuka GT-R replica, etc...) that this car has been on for a while...I decided a while back that I would only go legal. I looked into the Kaizo cars when they were around, because I've always loved the S15 silvia. But that's when I decided trying to get a car in through a loophole was a bad idea. Yo, dude . . . he said legal in TEXAS. Not the US, and certainly not Cali. I sure am glad a noob asked. I didn't have a clue what it was, and was too embarassed to ask. Just because its legally registered in a state doesn't mean the feds can't impound it is what he is saying. I can't say I know a whole lot of details on the car itself other than he wasn't the original importer of the vehicle and he bought the vehicle already "legalized" from a guy in New Mexico (I believe). He said the other guy did all the fancy footwork to make the car legal to drive here and he didn't have to do much here in Texas. Guys, it was a Texas joke. Apparently it bombed. Next time post a video of a kitten...it'll go over better. Actually after I wrote my response I re-read what you wrote, and got a chuckle. I didn't edit my post though. It's cool. Own your bombs. Good advice on kittens. I grew up in one of those going from England back and forth to Italy. 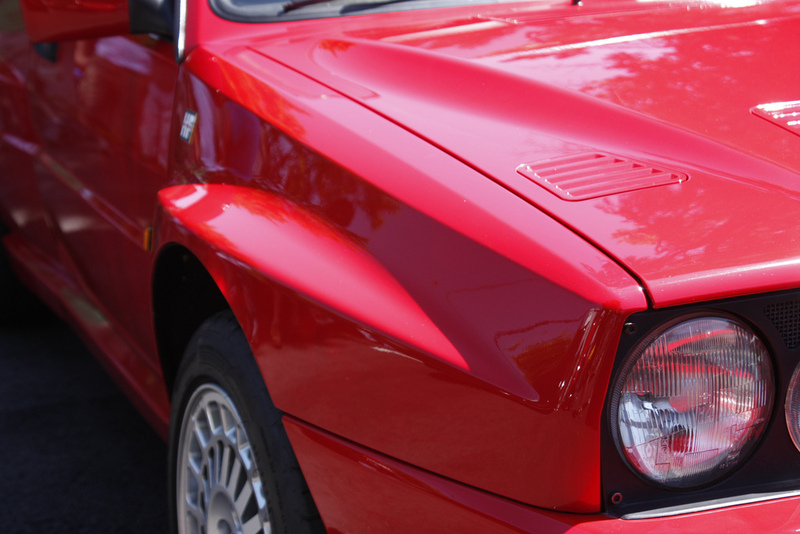 Dad worked on Alfa's and Lancia's on the side. Amazing car to look at and be a passenger in. White with the Martini stripes is the one to get! Quick Reply: Saw a damn rare car yesterday!